Every course has its own unique characteristics. Full package Golf tour that lasts 5 days and 4 nights will let you experience the top Golf courses in the North: Ha Noi Golf Club, Chi Linh Star Golf & Country Club, Tam Dao Golf Resort, Song Gia Golf Resort, Do Son Seaside Golf Resort. These courses features spectacular mountain views and fresh air, it will be a great escape from the hustle and bustle of Ha Noi. Located at the foot of mountain region in Minh Tri Commune, Soc Son District, about 15 minutes from Noi Bai International Airport or 40 minutes by car from the center of Ha Noi. 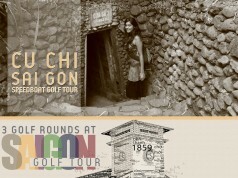 Ha Noi Golf Club is an ideal course for golfers to express their deep passion for golf. Since the grand opening ceremony in 2006 with 18 holes golf, Ha Noi Golf Club has gradually improved the facility and finally became the 27-hole gole course in 2013, the course spreads over a vast hilly area in the countryside of Ha Noi. The course has earned a reputation for its outstanding conditions, friendly staff and quiet atmosphere with great views of mountains.. Situated in the beautiful Tam Dao Mountain in Vinh Phuc province at an elevation of 1,000m above sea level and known as the most scenic golf course in the North of Vietnam. It takes you 60 minutes by car to get from the center of Ha Noi (65km). 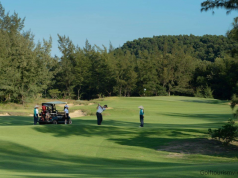 Tam Dao Golf Course has 18 holes, designed by IMG. The course features small quiet streams, lakes and waterfalls. The architects purposely placed many bunkers and water hazards in some strategic spots providing an enjoyable challenging for golfers of all levels. With the various tee positions stretch out to over 7200 yards, amateur and professional golfers will want to use all 14 golf clubs to feel every single shot on the golf course. The fairway and green that are covered by Paspalum Sea Isle 2000 that provides a smooth playing surface all year round. Located on the bank of Gia River, Hai Phong. 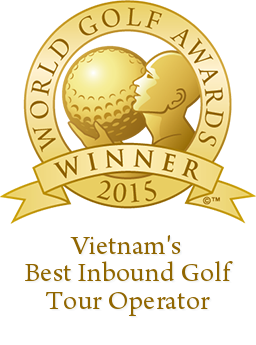 The course was built by Korea-based Hyundai and is one of the first private golf courses in Viet Nam. Totaling 27 holes including 18 Membership holes and 9 Executive holes, depending on the golfer’s ability and interest. Inspired by the beauty of Ha Long Bay – the UNESCO World Heritage site, one of the world’s new Seven Natural Wonders, Song Gia Golf Resort was designed in harmony with the natural environment. Each golf hole have a distinctive and strong personality, so that it becomes an unforgettable friend, whom you cherish revisiting. Do Son Seaside Golf Resort located in the foothill of Dragon Mountain overlooking the scenic ocean. 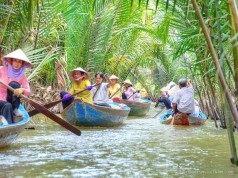 It’s about 20km from Hai Phong City. The 18-hole par 72 course combines sport and leisure within an impressive 6,317 yards stretch of land. One of the special points of the golf course is its tee system with four tees including the serving tee. This creates a big challenge for professional golfers but still is manageable for amateurs. With 2 nights resting in Hanoi, you will be enjoying relaxing moments at 4 – star hotel Golden Silk Boutique. Located at Ha Noi center, you can walk to Thang Long Water Puppet Theatre, Hoan Kiem Lake, Van Mieu and Uncle Ho’s Mausoleum. For 2 nights left in Hai Phong, you will rest at Huu Nghi Hotel, which has 127 comfortable, luxury and subtle rooms. The restaurant which is located in an ideally position can serve 1500 guests at the same time. The restaurant is also the place where converges the essences of European, Asian, Vietnamese and Chinese culinary arts by foreign and Vietnamese cooking experts. You should play at Van Tri Golf Course – one of the most beautiful Course in the North of Vietnam, just ask your operator, I recommend you UniGolf Company for the good rates. 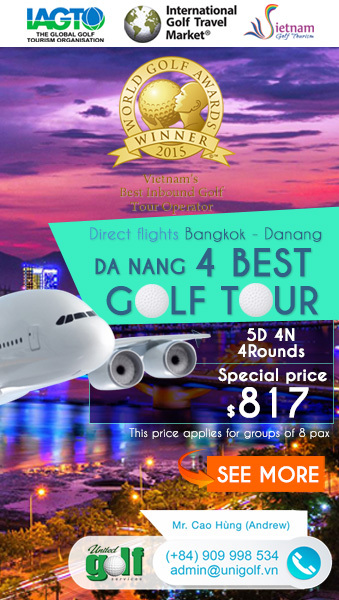 We have planned to play golf in Hanoi from 17th Apr to 21st Apr ( 5D4N4R) of golf and 1 day 5 hours cruise tour. We arrived 11.40am on 17th Apr and return home to Singapore on 21st Apr at 6.45pm. So we plan to play 1 round on arrival day afternoon , 2nd round golf, 3 rd round golf and last round on return date morning 21st Apr. My team want to play Hanoi International, Skylake, Phoenix and King’s Island. Pls advise which course should we scheduled to play based on our timing? Are these 4 golf courses in excellent condition to play? Pls recommend good and reliable golf tour to quote us. Thank you. We have sent the information to your email, check it, please sir!